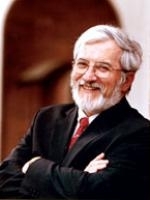 Harold W. Attridge, Ph.D., is Sterling Professor of Divinity at Yale University. He was previously Harry S. Slack Dean and Lillian Claus Professor of New Testament at Yale Divinity School. He has published many scholarly contributions to New Testament exegesis and to the study of Hellenistic Judaism and the history of the early Church. He also has served as the president of the Society of Biblical Literature. Harold W. Attridge is currently considered a "single author." If one or more works are by a distinct, homonymous authors, go ahead and split the author. Harold W. Attridge is composed of 6 names. You can examine and separate out names.